"For a year-long mountain sports practice, the CARLINE WOOL BLEND 150 is designed for women and provides maximum moisture wicking and outstanding next-to-skin comfort. 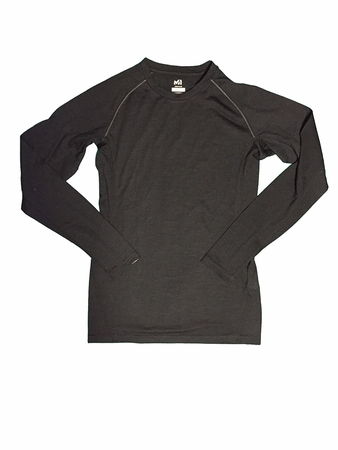 It combines Merino wool and polyester to get a natural insulation and handfeel with quick moisture transfer properties. As a natural thermal regulation, soft and anti-odours, the Merino wool will adapt to thermal conditions and helps air circulation. The polyester enhances moisture wicking, is quick drying and provides high resistance to multiple washes. In the 1/2 zip or crew neck version, you will appreciate the comfortable knit and active feminine fit, close to the body without binding movements.